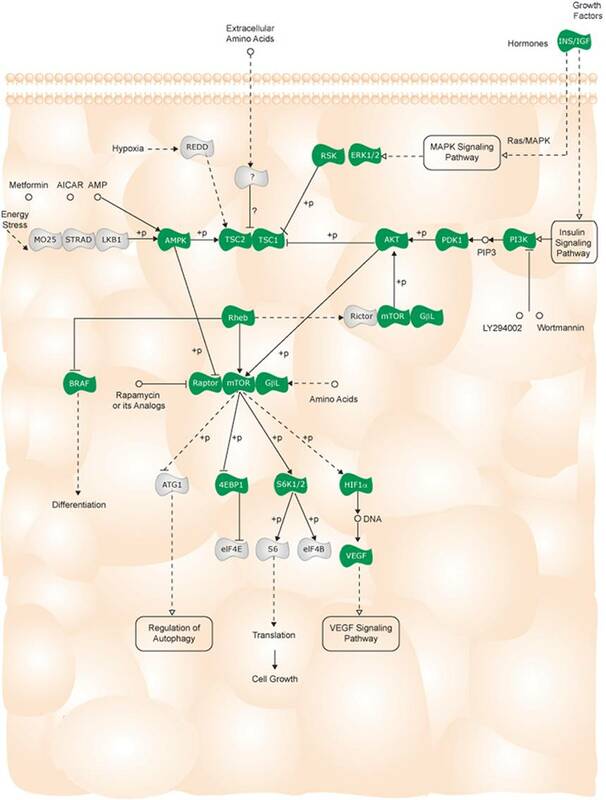 mTOR integrates the input from upstream pathways, including insulin, growth factors (such as IGF-1 and IGF-2), and amino acids. mTOR also senses cellular nutrient and energy levels and redox status. The mTOR pathway is dysregulated in human diseases, especially certain cancers.